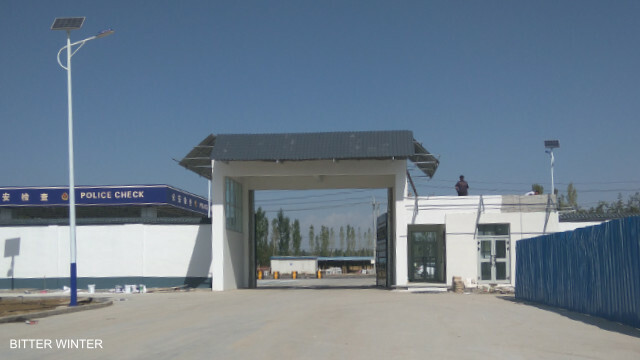 Vehicles entering the transformation through education camp must pass through two gates. 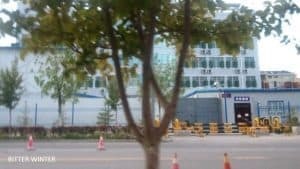 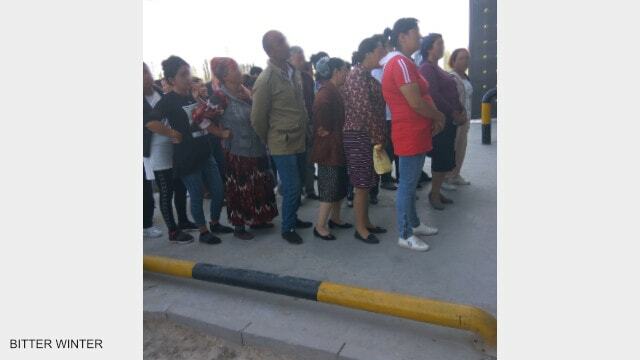 The detainees’ family members who are attending the public trial meeting line up outside the transformation through education camp, waiting to be summoned. 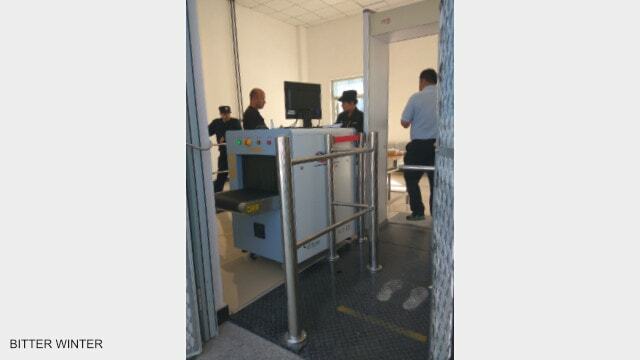 A family member undergoes a security check. 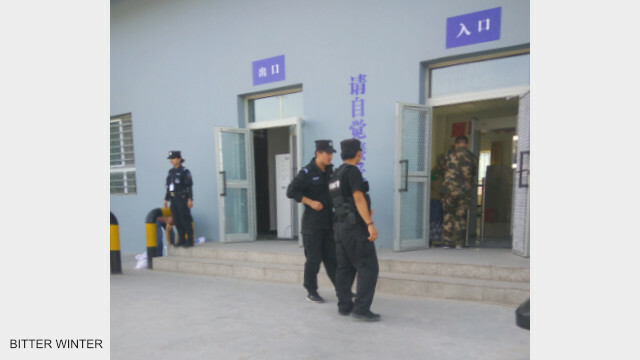 Police patrol and stand guard outside the transformation through education camp. 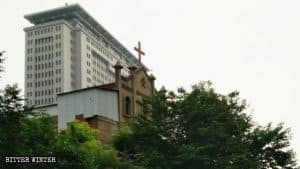 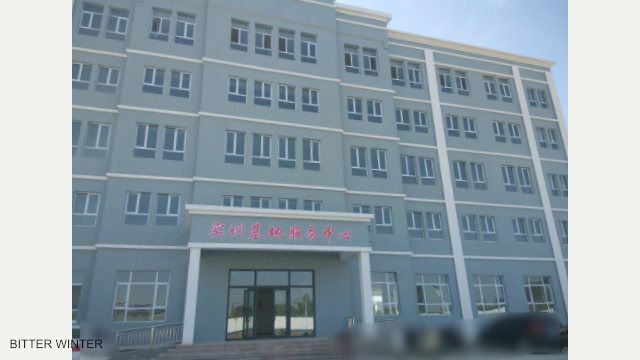 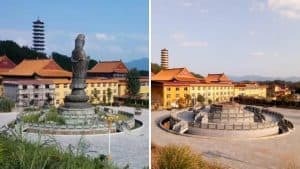 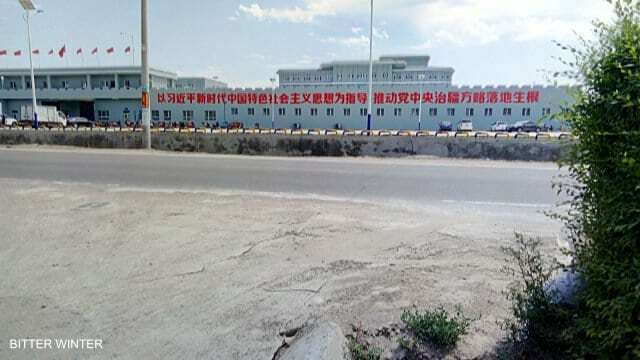 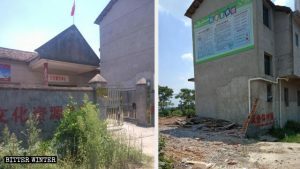 A large-scale production base has been built adjacent to the transformation through education camp. 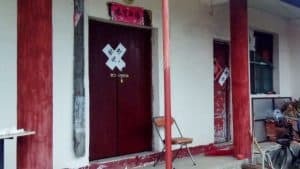 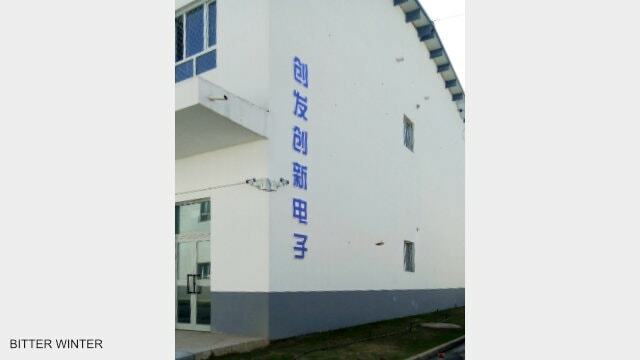 “Chuangfa Innovative Electronics” is written on the wall of one of the factories. 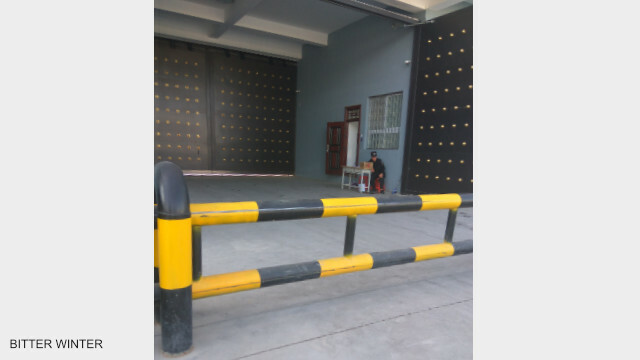 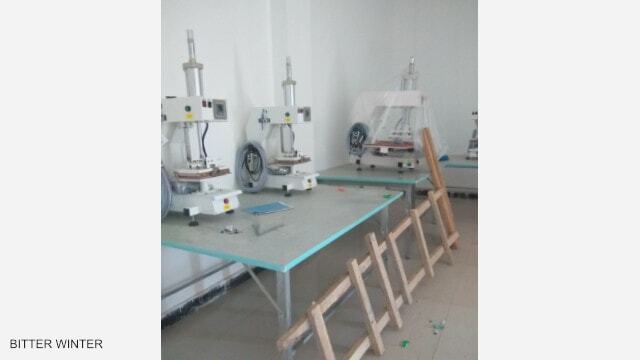 Machines and equipment have already been installed in the factory. 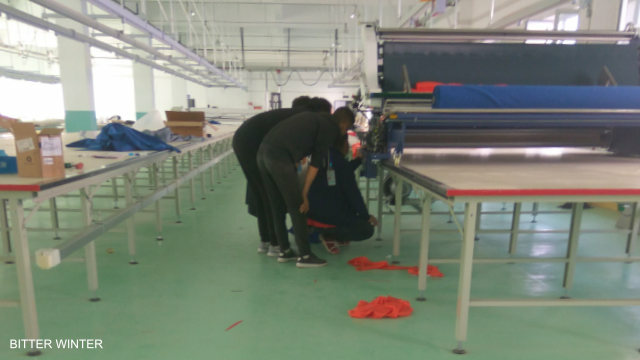 Workers adjust and test machines in a large factory.